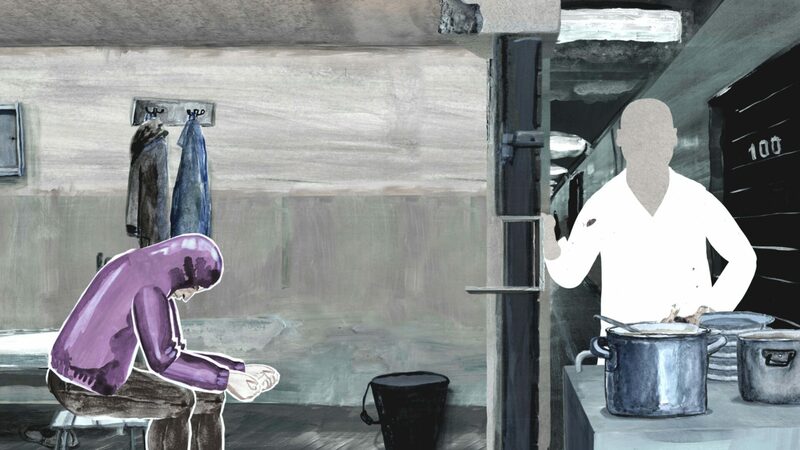 Crulic: The Path to Beyond offers a virtual compendium of animation styles, mostly of the defiantly lo-fi variety. Anca Damian’s “animated documentary” calls on both hand-drawn and computer-drafted imagery, joins 2D and 3D techniques, and mixes in photographs and other “live-action” pictures amid the animation. The result is a gloriously inventive visual mélange that can’t quite make up for the thinness of the story it’s illustrating. That story is the true-life tale of Cladiu Crulic, a Romanian native living in Poland who was arrested—almost certainly falsely—for a theft allegedly committed in his adopted home of Krakow. After his attempts to contact the Romanian consulate and to seek out other means of justice lead to nothing, he embarks on a hunger strike which ultimately leads to his death. The film is narrated both by an actor voicing Crulic himself (speaking from beyond the grave in Romanian) and by an unnamed third person (speaking in English). 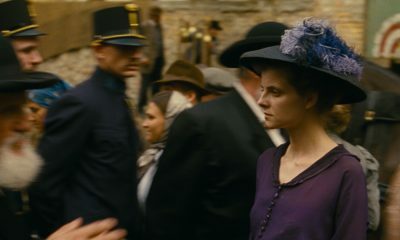 While Crulic covers the more intimate details of his personal struggle, the other narrator delivers the film’s talking points, outlining each moment of the narrative where the tragedy of the hero’s (likely) wrongful imprisonment and death could have been averted. It’s a stirring case to be sure, but in Damian’s telling it hardly registers. After a perfunctory introduction delivered by the actor playing Crulic, explaining his rather ordinary childhood and early adult life, we get the circumstances of his imprisonment and his efforts to free himself, but even in first-person narration, it all feels a little clinical. While Damian and her team of animators do everything they can to let the visuals fill in the gravitas (witness a superbly rendered scene of an emaciated Crulic brought before a court full of faceless judges and lawyers), the character and his situation feels too thinly rendered and the sense of injustice too reliant on the imposed-from-on-high outrage of the narrator to feel like a natural outcropping of the material. Instead it’s little more than a bunch of pretty pictures propping up Crulic’s slow, inevitable death march. For all its weighty subject matter, Damian’s film feels as weightless as the hospital sheet whose final flight through the streets of Krakow brings the proceedings to the end and marks the definitive passing of the movie’s eponymous hero.